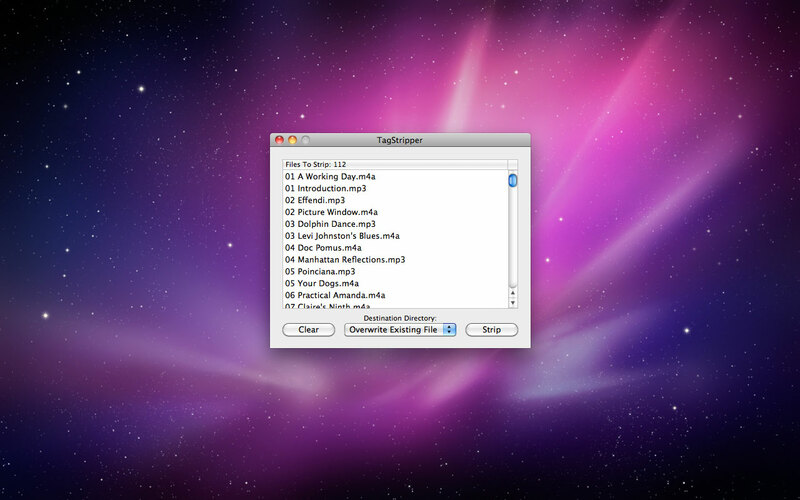 Tag Stripper is a fast, simple, easy to use program for removing all metadata from audio files. Just drag your files in and press go! Currently supports AIF, WAV, M4A, MP3, AAC, and CAF audio files. Metadata is stripped without any change to your audio. Simply drop your audio files onto Tag Stripper, select your destination directory, and press go!